‘Harriet’s Chariot’ was finished today. Hattie’s (RIP) portrait is printed on both sides so there is no way you can miss her beautiful snout. 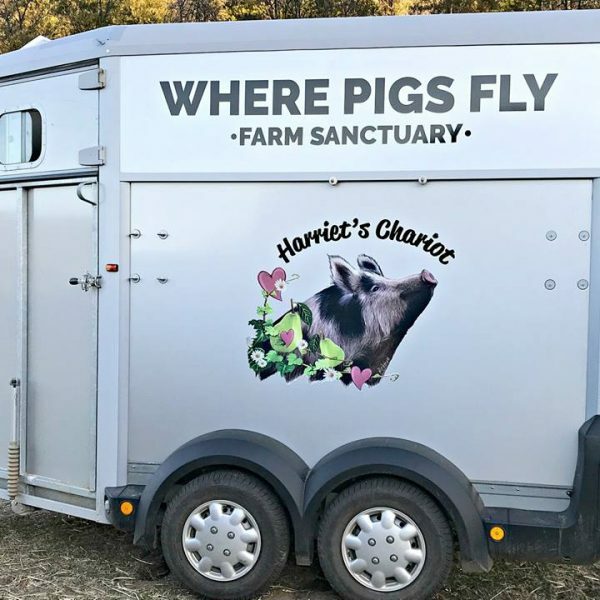 Heartfelt gratitude to the Animal Guardians Foundation for a grant to purchase the animal transporter for our rescue work. We would dearly love Harriet to be with us today but her memory and mission will live on. Toot if you see Harriet’s Chariot on the road.